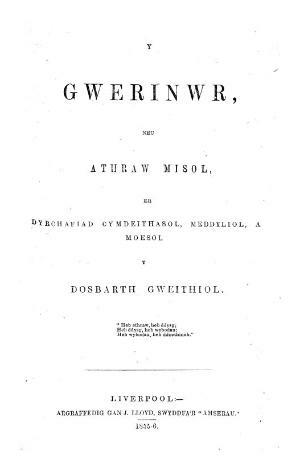 A monthly non-denominational Welsh language general periodical established for the social and intellectual development of the working class. The periodical's main contents were articles on education and social and moral issues alongside biographies, selections from the press, stories and poetry. The periodical was edited by the Congregationalist minister, John Thomas (1821-1892).